you’ve seen something like these before. which, i’m pretty sure people say about me so we’re kindred spirits. 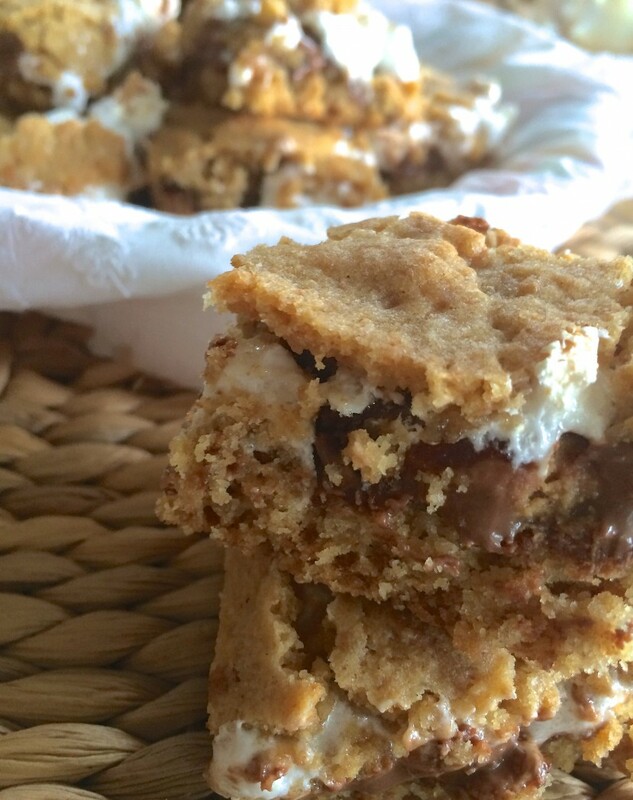 reese peanut butter cup s’mores bars. also. i wasn’t in my kitchen when i made these. and the lighting was all wrong. so stop judging my bad photos ok? anyway. how was your 4th? mine was awesome. this summer has been so jam-packed with awesomeness, just blowing through the summer bucket list like woah. movies in the park. festivals. concerts. skiing. building pyramids. but with all this fun i’ve been slacking in the loving of cooking. my kitchen has been neglected. i’ve been all like hey i can totally have brie and salami with a side of wine for dinner for the 4th night this week. totally normal. and covers a food group or two. i’ll have an extra gummy vitamin tomorrow. pass the proscuitto. but i’m getting back to the cooking groove. lots of grilling. and fun dishes that are good for parties. simple recipes. crowd favorites. pretty excited to tell you all about them. although this is kind of cheating. because it’s baking and not cooking. and you know i feel about baking the way most people feel about soccer. they don’t care about it anymore than i care about football/basketball/anythingotherthantennis and then the world cup comes on and BAM – everyone is a freaking know-it-all obsessed bleiber soccer fan. i like baking fine until i crave it. then i will walk 7 blocks in a polar vortex to get my hands on some straight out of the bowl spoon optional brownie batter. that’s how i felt about these s’mores bars. see, in my family reese peanut butter cups are a big deal. my sister in particular, loves them. cant get enough. 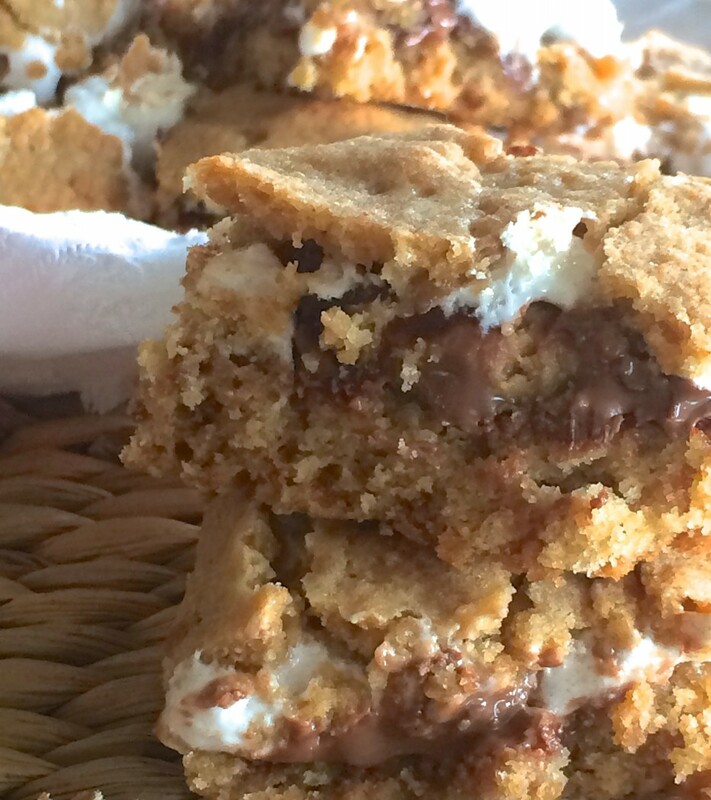 we were making s’mores at the lake one night and my sister had the ingenious idea to swap out chocolate for a foodgasm in your mouth that is reeses smores. 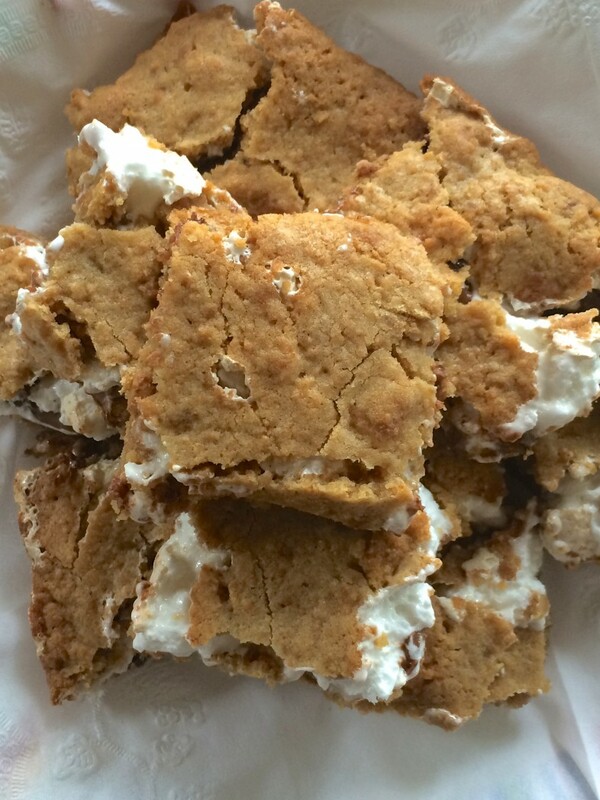 then i thought – since i can’t make a bonfire in my sandbox of a studio, i could bake them. i told my sister this and smarty pants that she is, she sent me a recipe. because apparently this is the least unique idea ever and i’m actually the last person in the world to think of it. but because my sister is awesome and has lied, supported and covered for me way too many times to count. i had to make them for her. she loved them. almost as much as she loved blowing out my birthday candles, stealing my christmas presents and unwrapping them and then throwing them at me once she made sure they weren’t cooler than hers and bossing me around. she loves these almost as much. i can’t even tell you how good they are. gooey. rich. decadent. amazingness. heat oven to 350. grease a 9 in baking pan. neat melted butter and brown sugar together until smooth; beat in egg and vanilla extract. slowly pour in flour and salt beat until well mixed. then add in graham cracker crumbs, stir. spread half of the dough on the bottom of the prepared baking dish. place the peanut butter cups into the dough and spread marshmallow fluff on top (this is the tricky part, your fingers will get sticky). press the remaining dough on a non-stick surface into the shape of an 8×8 square. place the square on top of the fluff and press down lightly. bake for 20 to 25 minutes. let cool for 1-2 hours before cutting. « 4th of july things. 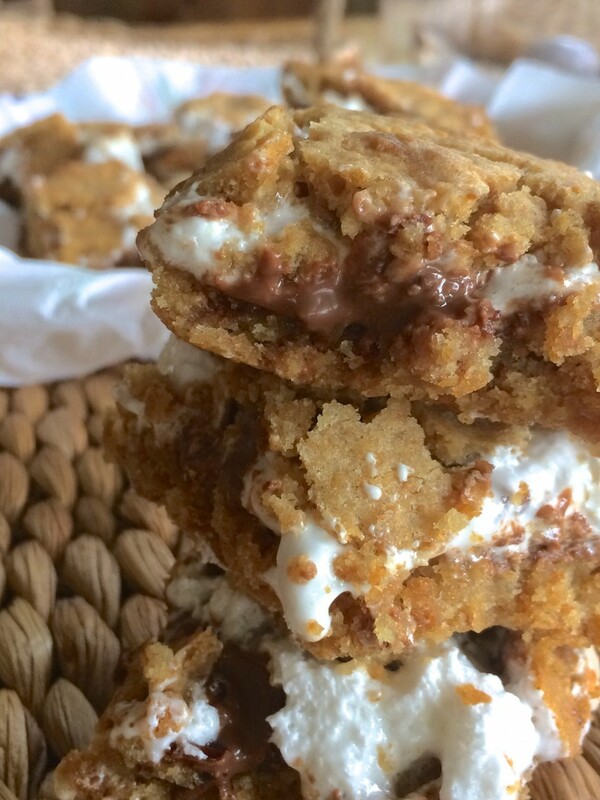 OMG… I am salivating just reading the recipe! The kids ( young & old) are doing to love these!! haha they are so delicious!! Those Reese’s cups — are they the full size, the minis, or will the new chip sized ones work? I used the full size but mini ones will work! I haven’t seen the chip sized ones yet but they sound amazing!